The Private Wealth Europe- Spring Forum is the flagship meeting for our private wealth series in Europe and the leading wealth management, wealth planning and international investment management meeting for private banks, HNWIs, wealth managers and family offices. 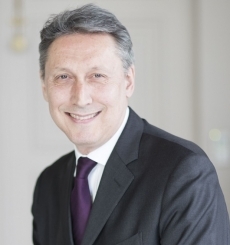 Nicolas Chaput has been Global CEO and Co-CIO at ODDO BHF Asset Management and member of the Executive Committee of ODDO BHF since 2012 and President of ODDO BHF Private Equity since 2018. Previously, he was Global Head of Fixed Income Management at BNP Paribas Asset Management from 2008 to 2012 and supervised BNPP AM's Credit & Structured Finance division from 2005 to 2008. Prior to joining BNPP AM in 2005, he worked for 15 years at Calyon in Paris, London and New York. Nicolas Chaput holds a Master’s degree in business law from Université Paris II and is a graduate from the In-stitut d’Etudes Politiques de Strasbourg. Naïm Abou-Jaoudé is CEO at Candriam Investors Group and chair at New York Life Investment Management (NYLIM) International. He has more than 25 years of experience in investment management. Previously at Candriam, Mr. Abou-Jaoudé served as a member on the executive committee, responsible for alternative investments. He also previously served as vice chair at NYLIM International. 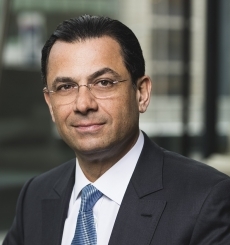 Mr. Abou-Jaoudé was a member of the management board and responsible for the investment management and derivatives department at UBS Asset Management France and Alfi Gestion. He started his career as a partner at Transoptions Finance, a subsidiary of Crédit Agricole.